This luxurious Rib Scarf will keep you cozy and warm on the coldest of winter days. The deeply textured rib structure of this scarf appeals to men and women. It also works perfectly with our Felted Hat. Merinomink is an exclusive blend of 100 percent natural fibers; fine Merino wool and luxurious Brushtail Possum fiber, blended with silk for strength, and with angora added for lighter colors. 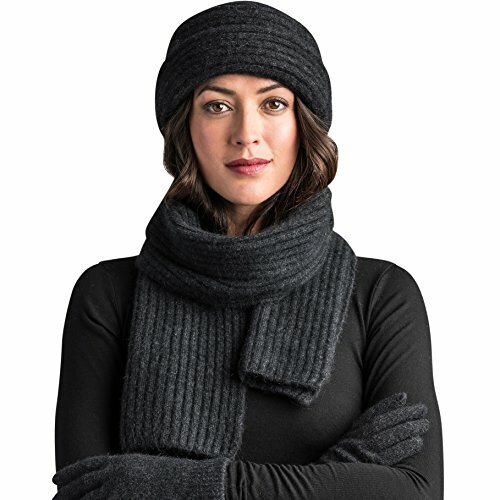 Merinomink is unique in that it has featherweight softness and is incredibly warm, due to the hollow structure of the Brushtail Possum fiber, which traps air both within the fiber and in the fabric when blended with high crimp, fine Merino. The fiber has no scales, so resists pilling and has outstanding durability and excellent performance characteristics. Our company established in 1981, in Christchurch New Zealand. Knitwear is our heritage, our life, and our passion. We pioneered the use of Brushtail Possum fiber blended with wool in 1992 and following deep research, launched Merinomink on the market in 1996. Our vision is to create a healthy, vital and dynamic future for the planet and its people, through both our products and business activity. If you have any questions about this product by Merinomink, contact us by completing and submitting the form below. If you are looking for a specif part number, please include it with your message.